One of the most fantastic aspects of Our Lady of Fatima’s message is that she entrusted it to children. Here are five lesson ideas to share and discuss with the children you know. One of Our Lady of Fatima’s central messages was to pray the Rosary every day for peace. While the particulars of world conflict have changed since 1917, we continue to live in a world full of anger, violence, and war. Children are aware of this. Depending on their ages, they may be more or less aware of the global stage, but they are certainly aware of fighting in their own families, schools, or neighborhoods. They may feel powerless to help or make a difference. Praying the Rosary is one thing that they can do to help change lives and hearts, starting with their own. While prayer is not a magic wand and God certainly does not always answer prayer on our timetable or in the way we think best, following the instructions of Mary to pray the Rosary can only help. 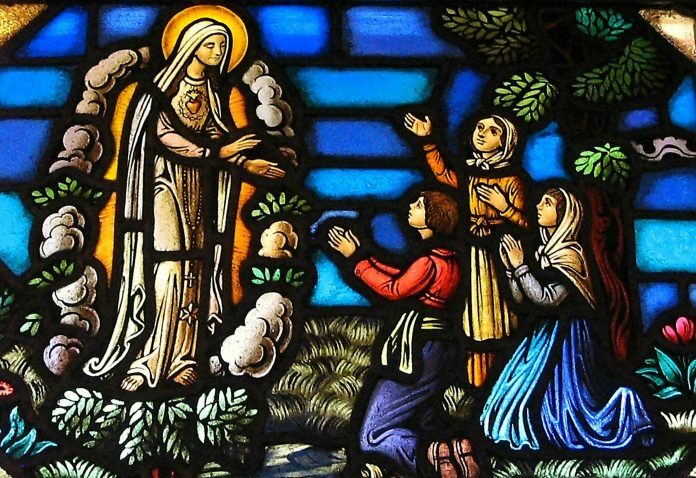 Our Lady appeared to children at Fatima. Lucia Santos was only 10 at the time of apparitions. Francisco Marto was 9, and his younger sister Jacinta was 7. Lucia was the youngest of seven children in a family made up of six girls and one boy. At age 6, she made her First Communion. At age 8, she began working as a shepherdess along with many other boys and girls. Francisco enjoyed playing with lizards and snakes. He sometimes teased his younger brother. He enjoyed games, but he was not overly competitive. He played a reed pipe as Lucia and Jacinta would dance. Francisco never heard the words spoken by Our Lady; he only saw her and felt her presence. Lucia gave him the message that Our Lady said he would go to heaven if he prayed many Rosaries. Jacinta enjoyed gathering flowers and making garlands. She also loved to dance. She was talkative and considered all the sheep she cared for to be her friends. The three children would pray the Rosary every day after lunch, but they shortened the prayers to get done more quickly, saying only the first two words of the prayers, “Our Father” and “Hail Mary.” After the apparitions began, they quickly became more devoted to praying all their prayers in full. As Our Lady predicted, Francisco and Jacinta both died young after contracting influenza. Francisco died on April 4, 1919, at the age of 10, and Jacinta died the following year on February 20, just shy of her 10th birthday. Both Francisco and Jacinta were beatified by the Church in the year 2000. Though they never lived past childhood, they are saints! Our Lady encouraged the three children to make sacrifices to help sinners and save them from hell. Jacinta was especially devoted to this, encouraging the other two to give up their lunches, refuse to drink in the heat of the day, or wear knotted ropes around their waists. They also had the opportunity to make many involuntary sacrifices as they were persecuted by those in their community, including the religious leaders. Jesus said to his disciples, “If anyone wishes to come after me, he must deny himself, and take up his cross daily and follow me” (Luke 9:23). What does that mean for children? It means accepting the hardships of everyday life and doing things they may not want to do. These may include helping out with chores around the house, struggling with certain subjects in school, or sharing their toys with other children. Sometimes simply having to spend time with their siblings can be a sacrifice. 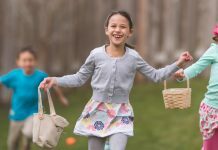 Children can also be encouraged to make voluntary sacrifices such as giving up candy or dessert, skipping a favorite television program, donating toys or clothes to someone who needs them more, or saving part of their allowance or birthday money to give to charity. The three children were questioned repeatedly by their families, the Church leaders, and the government officials. Many people did not believe them and thought they were making up the whole story of Mary’s appearances. They were even imprisoned for a short time in an effort to make them recant their story. The whole ordeal was traumatic, but the children did not give in to fear. They did what Our Lady asked of them. 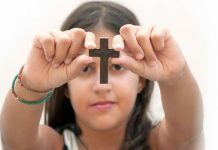 It can be hard for children to do the right thing, whether it is practicing their faith when others make fun of them, standing up to a bully who is picking on a classmate, or not cheating on a test when everyone else seems to be taking the easy way out. The three young visionaries offer a wonderful example of having courage in the face of obstacles and opposition. Most people take heaven for granted, for indeed, that is where God wants us to spend eternity. In the words of the Baltimore Catechism, “God made me to know him, to love him, and to serve him in this world, and to be happy with him for ever in heaven.” Our Lady promised to take the children of Fatima to heaven when they died, but she also showed them a vision of hell that terrified them. In today’s world, the existence of hell is often disregarded. The popular thinking is that hell might exist, but if it does, then you have to be an incredibly horrible person to go there. The reason Our Lady showed the children this fiery vision of tormented souls was to encourage them, and all of us, to pray for souls — to save them from the fires of hell. She told the children that many souls go to hell because they have no one to pray or make sacrifices for them. Our Lady specifically asked that we say the following prayer after each decade of the Rosary: “Oh my Jesus, forgive us our sins. Save us from the fires of hell. Lead all souls to heaven, especially those most in need of thy mercy.” It is such a simple prayer, but it can help save souls. Prayers and sacrifices, including those by children, do make a huge difference in helping others get to enjoy the eternal happiness of heaven. Patrice Fagnant-MacArthur, MAAT, is the editor of TodaysCatholicHomeschooling.com, and author of The Catholic Baby Name Book. 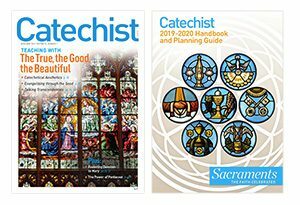 This article was originally published in Catechist magazine, Apr/May 2017. Copyright 2017, Bayard, Inc. All rights reserved. This article is protected by United States copyright and other intellectual property laws and may not be reproduced, rewritten, distributed, redisseminated, transmitted, displayed, published or broadcast, directly or indirectly, in any medium without the prior written permission of Bayard, Inc.